As our regular readers know, JK has a long-standing commitment to sustainable practices, both inside our company and on behalf of our customers. And we’ve found that being “eco-friendly” is an increasingly important issue for our commercial customers (i.e., office and industrial moves). Sure, you can read about our innovative programs and practices that help our customers reduce the amount of waste and boxes that go into landfills, and even how we donate unwanted (but perfectly usable!) furniture and electronics to nonprofit organizations, but there’s nothing like a real-life example to drive the point home. Read on! 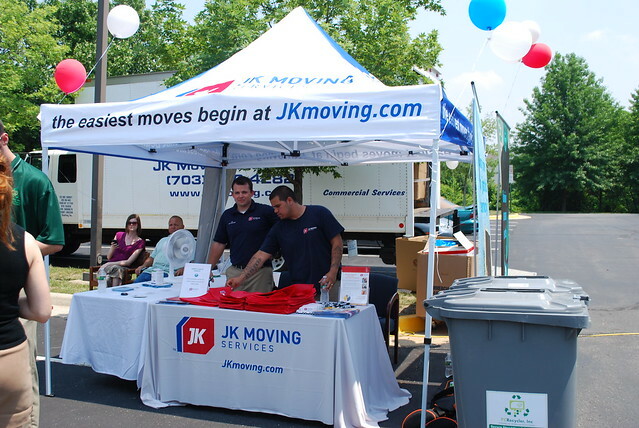 On June 1st, amid sweltering temperatures, JK joined forced with Normandy Real Estate Partners, Habitat for Humanity, PC Recyclers and AAA Recycling and Trash Removal to host a successful donation and recycling event in Chantilly, VA. The event was developed to provide a venue for Normandy’s commercial tenants to easily recycle their electronics and donate office furniture and household goods. The collected items would be sold in Habitat for Humanity’s retail outlet inChantilly, aptly named ReStore. The proceeds from ReStore fund Habitat’s commendable construction projects. Frequently, companies have these difficult-to-dispose-of items. They want to be responsible about the disposal, but it can be time-consuming and even expensive to arrange picks-ups and ensure that items make their way into the right hands, which is why this event was such a winning proposition for everyone. JK collected over 1,600 pounds of electronics that will be properly recycled by our partner, PC Recyclers. 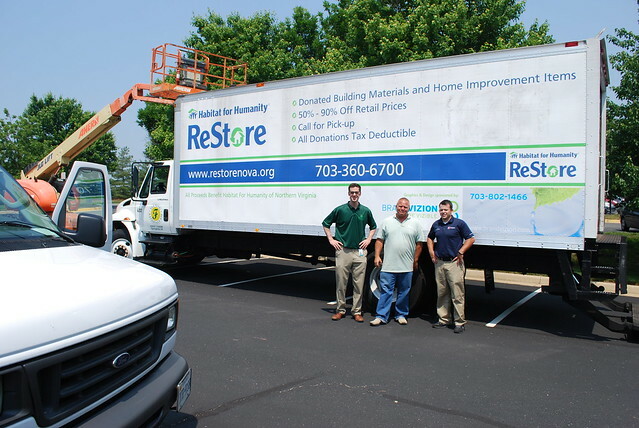 Habitat for Humanity/NoVa collected approximately 247 pounds of household goods that will be sold at ReStore. AAA was able to spread the word about its commercial recycling services. And a delicious lunch was enjoyed by all, compliments of Normandy Properties. We are lucky to have such great partners! We hope you enjoy the photos from our event.